Volkswagen will begin series production of its flexible fast-charging station from 2020 onward. The station, which can charge up to four vehicles simultaneously, will be produced at the OEM’s Hannover component plant. From 2020 onward, flexible charging station production will gradually replace heat exchanger production, forming part of the engine and foundry business area. The transition to e-mobility will see the plant undergo an e-mobility transformation and will contribute to safeguarding employment and sustainably strengthening the financial situation of the Hannover plant. In addition, the changeover will ensure that optimum use is made of the skills of employees at the plant. For example, a heat exchanger developer will be able to deploy their expertise for the development of battery cooling systems or the optimization of thermal management. 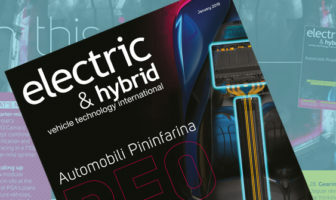 The charging station is based on the battery package of the Volkswagen Group’s Modular Electric Toolkit (MEB) and is designed to use its cell modules. Later, the charging station will provide a second life for batteries from electric vehicles.